MONROE, Michigan -- A reality TV star is teaching her 6-year-old son that household work is not "just for women." Nikkole Paulun, who appeared on MTV's "16 & Pregnant," told ABC News she did not expect a photo collage of her son, Lyle, to go viral on Facebook. The post, which shows Lyle grilling a sandwich, loading the dishwasher and doing laundry, had more than 140,000 likes and more than 56,000 shares as of 3 p.m. Monday. 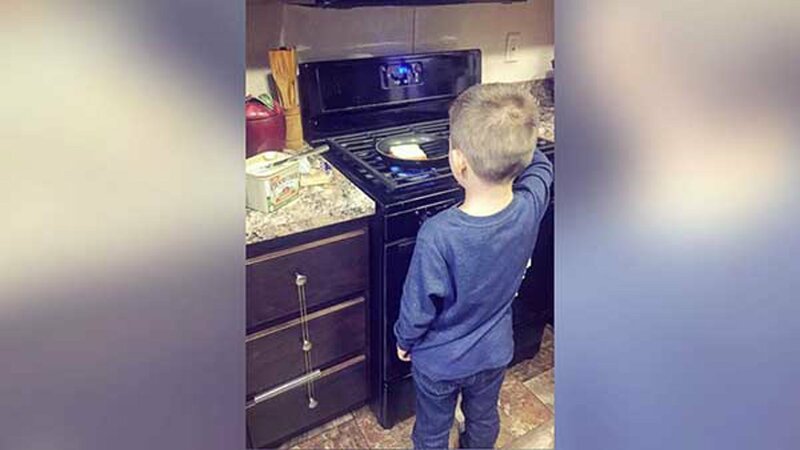 Paulun, a 23-year-old single mother from Monroe, Mich., wrote in the caption, "I teach my son to cook & do household chores. Why? Because household work isn't just for women... Remember parents, a man who believes he shouldn't have to cook or do chores was once a boy who was never taught any better." Paulun, who also has a one-year-old daughter named Ellie, told ABC News her mother was a single parent who worked as an electrician at Ford Motor Company, which made it easy to teach these lessons to her son. Paulun said she made the post to counter a narrative she believes is widely held about her generation.